Once you’re familiar with the Game Plan, utilize these tools and resources to join the #HalfTimeChallenge. You’ll find free images on the main Resources page. Tell others about this initiative. Email your friends, family, co-workers … anyone within your network! But, what do you say? Here’s a quick template to use. Just copy, paste and send. You can invite a Coalition member to share at your event. Interested? Email the Coalition to request a speaker. We’ve separated sample statistics and quotes into two categories based on twitter’s 140-character limit. This is the list that fits Twitter. Sources are offered with most, but not included in the 140-character limit for tweets. Remember to include hashtags! USA kids are NOT for Sale! Congress, please take the #HTchallenge & join the fight to end #humantrafficking! Take the #HTchallenge today by telling someone these HT victim warning signs! http://www.polarisproject.org/human-trafficking/recognizing-the-signs. 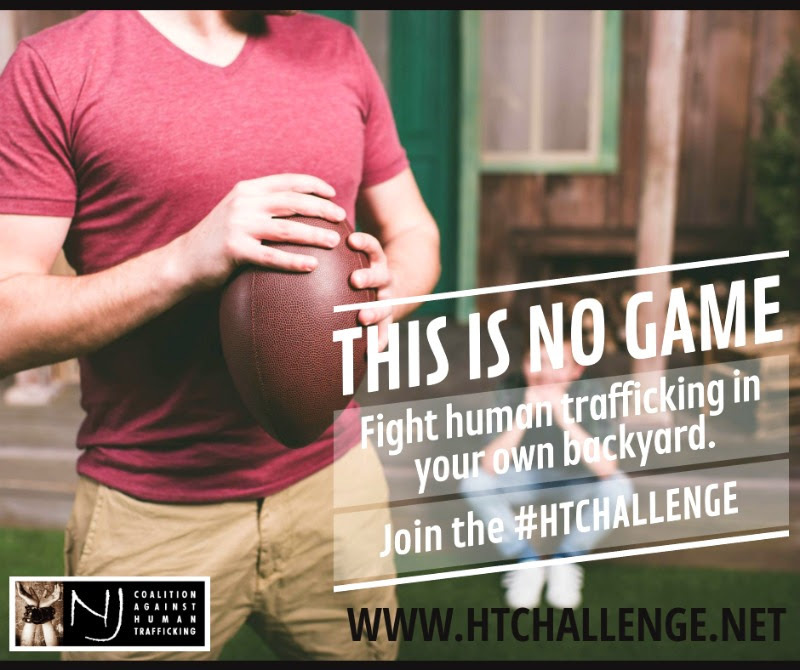 Visit njhumantrafficking.org 2learn how 2B part of Today’s #Halftime Challenge! Trafficking isn’t about smuggling; it’s about exploitation! #EndTrafficking & join our #HTchallenge by talking about trafficking 2day! Don’t want the #HTchallenge to end? To request a trainer or speaker about Human Trafficking, contact:training@polarisproject.org. The following quotes exceed twitter’s 140-character limit, but are informative and perfect for other social media outlets like facebook, G+ and instagram. Again — don’t forget the hashtags!